For years, UFO hunters have waged an ongoing battle with NASA, the United States’ space agency. Armed with nothing more than an internet connection, anyone can spend hours on end, searching for unexplained objects that might fly through the view finder of one of several HD video cameras mounted on the International Space Station. 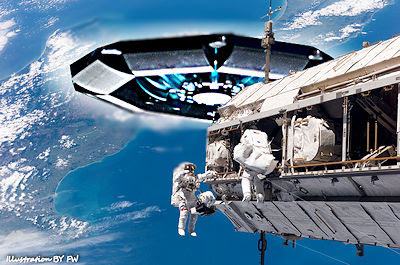 There are numerous examples over several years of where ISS watchers claim to have seen, recorded and posted YouTube videos of UFOs, hoping to convince the public that alien ships often visit the ISS.